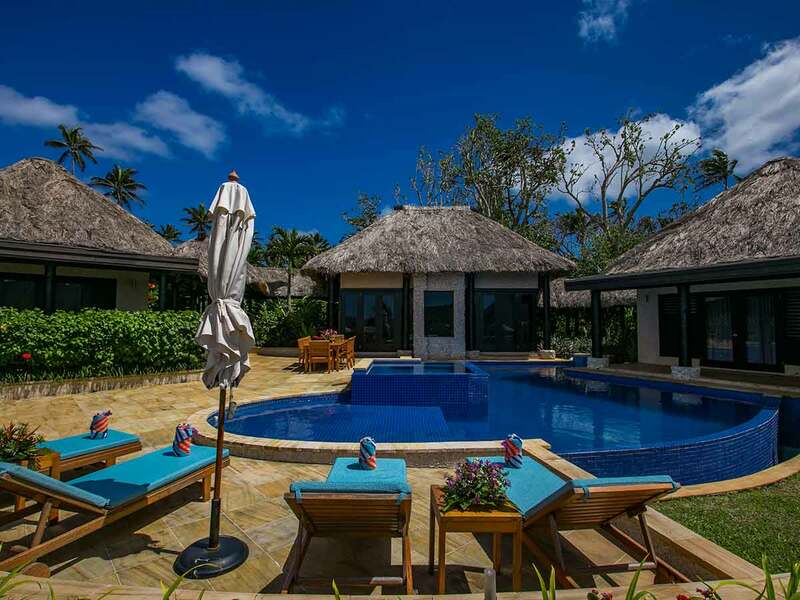 Enjoy your luxurious, inviting villa that has all the comforts of a contemporary hotel. Be spoiled by the opulent master bedroom suite and bathroom. Equipped with double basins, rain shower for two, and soaking tub that boasts views across the infinity pool to the South Pacific seas. The elegant surroundings include a suspended garden chair, poolside pavilion with a plush day bed and concertina glass doors which lead to a private sundeck and infinity swimming pool with loungers and a Jacuzzi-style spa. The last thing you want to do on your Fijian holiday is stress about how you’re going to get to and from the resort. Enjoy return airport transfers with a welcome drink and necklace on us to start and end your holiday in the same way—at total ease, completely relaxed. Start your mornings the right way, with a stomach full of sumptuous breakfast foods. The talented chef’s at Wavi Island Villas Fiji will prepare daily a basket full of breakfast. So grab a bite, pour yourself a cup, and fuel up for the day ahead. Have an authentic Fijian culinary experience with this complimentary a 3-course feast prepared by one of the resorts’ chefs in your own Villa. This is a meal you won’t ever forget. Get pampered with us. Rejuvenate your mind, body and soul this holiday. Indulge with one 30-minute massage during your stay and feel your tension completely melt away. We know how much everyone loves a good bottle of sparkling wine. 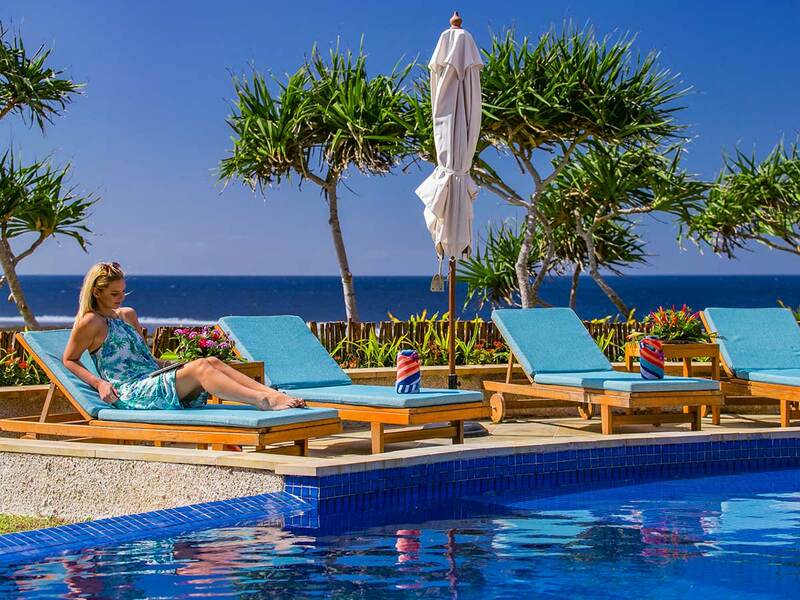 Have a glass or two when you stay at Wavi Island Villas, Fiji while enjoying the resort’s relaxing atmosphere. Stay hydrated on us this holiday and quench your thirst with a complimentary one-litre bottle of Fiji water each day. 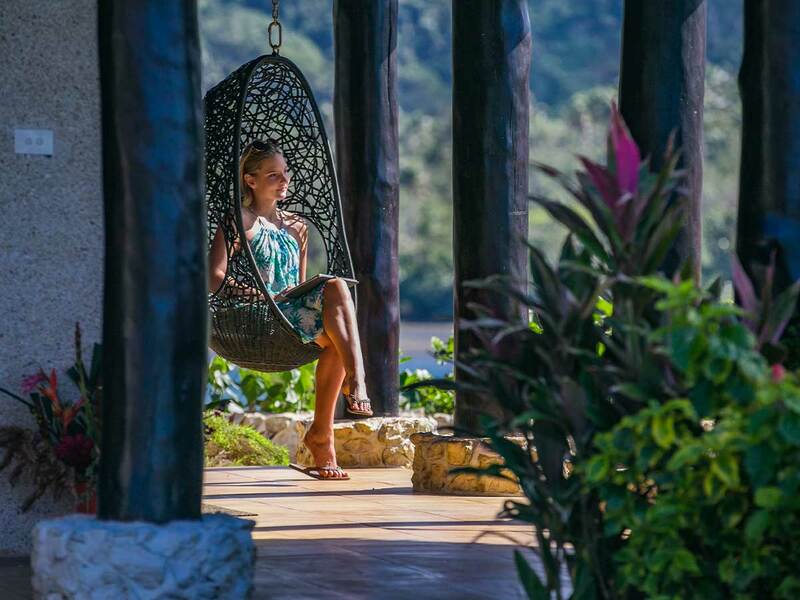 Surrounded by lush vegetation and pristine turquoise waters, Wavi Island Villas is a heavenly private property. 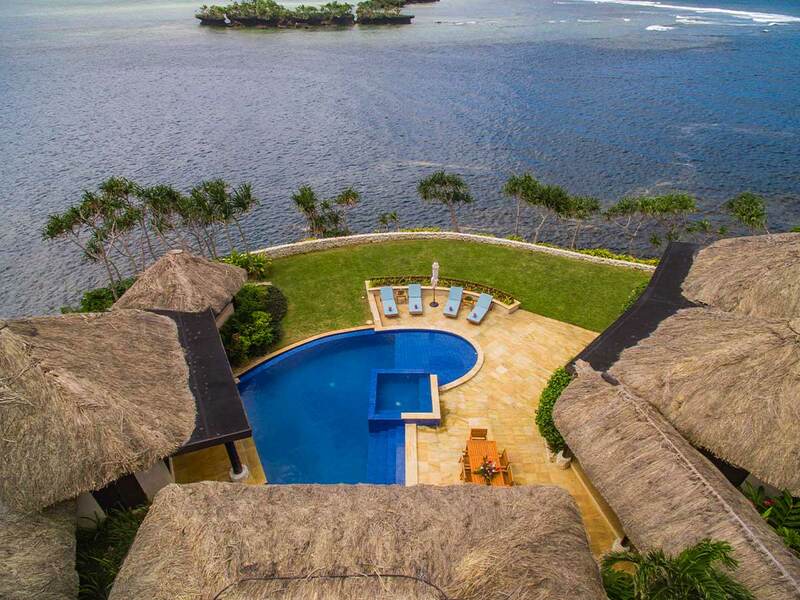 It boasts deluxe accommodation that is comfortably secluded in the heart of Savusavu, Fiji. Modern facilities include a large pool with gorgeous views of the South Pacific sea as well as fully-equipped kitchens, open-air living spaces and dining areas. 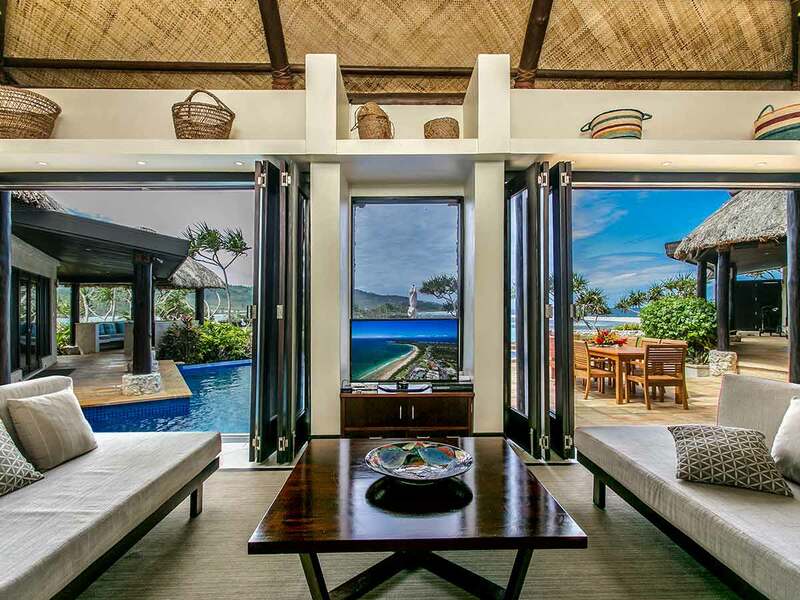 Also, expect contemporary interiors blended with traditional Fijian style. Experience private island paradise—exclusively. One island, one villa…just for you. 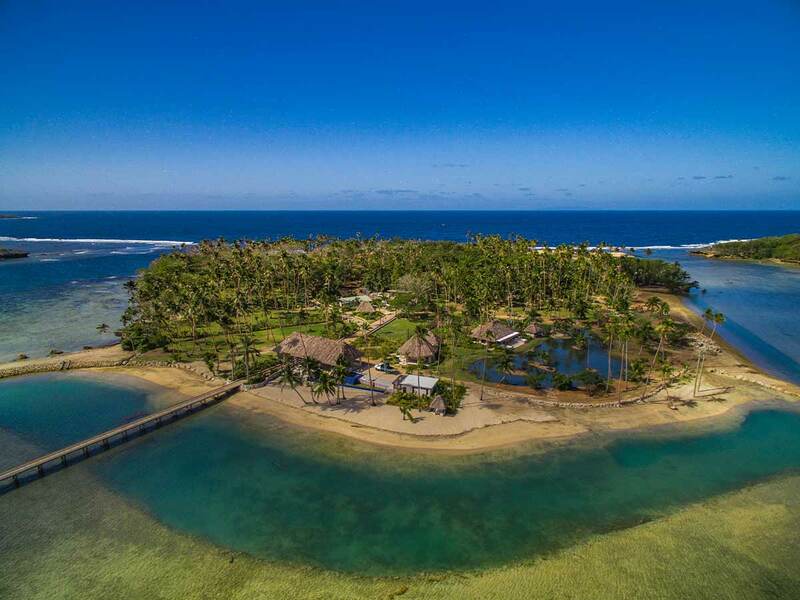 Wavi Island Villas is arguably the best luxury property in Fiji and you can have this entire private island all to yourself without neighbouring travellers. This 1-acre property comprises 3 stylishly-designed pavilions. The 1st pavilion comes with a kitchen, dining and living areas, which are all attached to the 2nd pavilion that has the main bedroom with a walk-in closet and a bathroom en suite. The 3rd pavilion features 2 bedrooms with wardrobes as well as a shared bathroom. All 3 air-conditioned pavilions open up to a stunning waterscape and tropical garden views. Let the sunset over the South Pacific sea take your breath away. At Wavi Island Villas, you will never get used to such stunning views. Below the waves, you can explore a bountiful marine life. Go snorkelling, scuba diving or fishing. You might even bring home a Yellowfin tuna and mahi-mahi fish for dinner. Wavi Island Villas also has a brilliant on-site chef that can serve up the catch of the day. Other excursions include a cultural trip to quaint villages and an immersion with the locals. Single supplement available from $2010 based on land only in a Villa. 9 Months interest free available from $71.70 per week for four people ex land only. This is a land only package and international and internal domestic flights are not included. 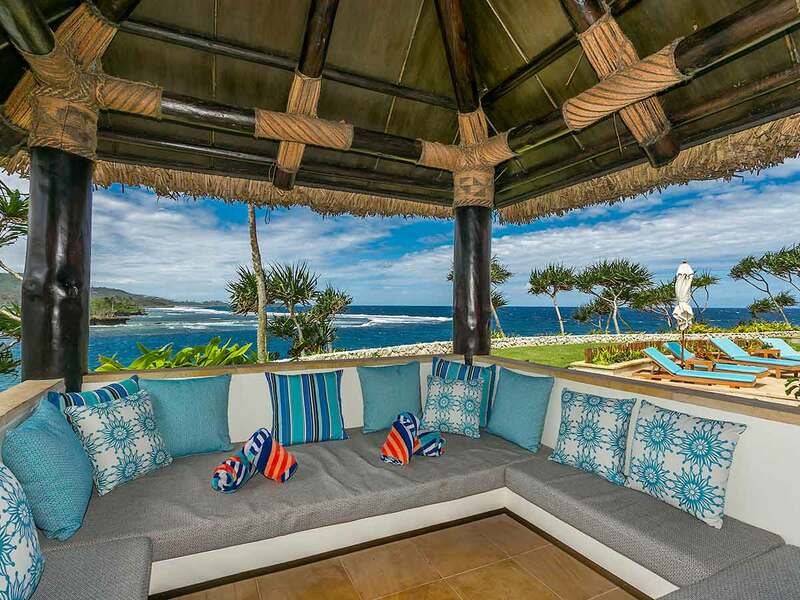 Wavi Villas is locatated in Savusavu. Regular flights to Nadi are available from major Australian cities and Savusavu island is located a 50-minute flight from Nadi. Convenient return transfers between the resort and Savusavu Airport are included in your package. 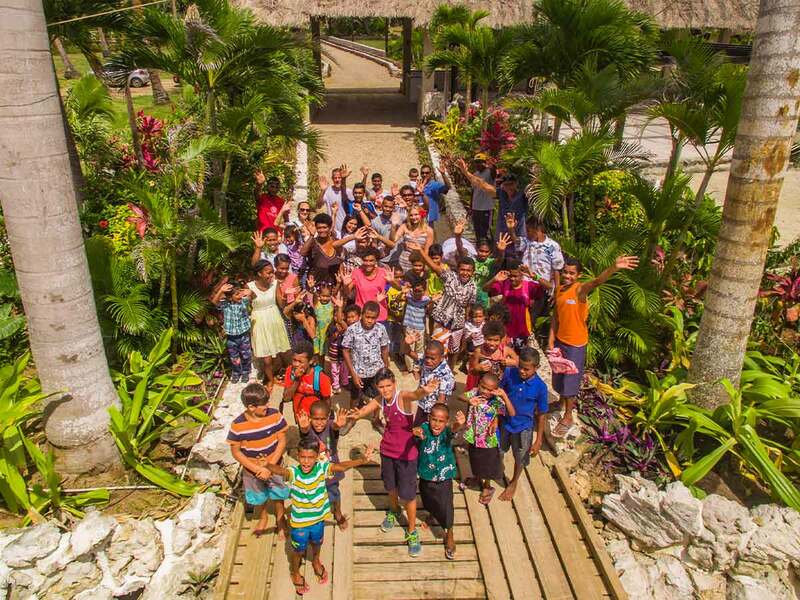 Wavi Island is located a short 10-15-minute drive from Savusavu airport. *FROM PRICE. All prices below are in Australian Dollars and are based on per person quad share occupancy unless stated otherwise.